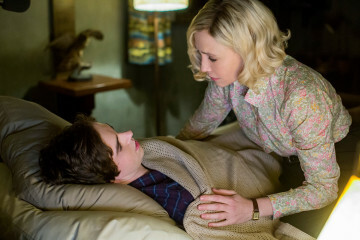 The finale episode of Bates Motel Season was nothing short of a roller-coaster ride. Where shall I even start. Let’s talk about the smaller segments first. After their last crazy encounter, Romero comes to the motel, sees Norma and they have a more civilized conversation. Too civilized really. After that, Romero tips Bob Paris off and helps him escape the police, only to hunt him down and shoot him dead. Caleb Is finally gone and without even paying Dylan a last visit. It is understandable that Dylan is super annoyed and decides to take a break from all this himself. Emma’s father announces that there is a set of lungs available for her. Mr. Decody never reveals that her getting to the top of the list was a courtesy of Dylan. Emma does not take this news too well and runs away from her place. Dylan, after getting a call from her father, tracks her down and tries to convince her to undergo the operation. Emma explains that the surgery has a great chance of not glorious outcomes. The chance of her body rejecting the lungs remains as a probable consequence. She is afraid but Dylan calms her, convinces her and last but not the least, kisses her. Yes! It’s finally happened, and it’s so cute. Norman fetches breakfast for Bradley and finds that she has sneaked out. Apparently, she was out, not only stealing from but also ransacking her own house. The plan was that she was going to grab Norman and flee forever this time, but that’s not even close to what happens. Bradley suggest her plan to Norman and after giving it a lot of thought, he gives in. 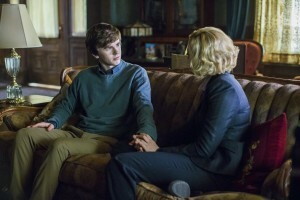 Norma goes to a mental institution and asks a lot of questions, hoping to get her little boy admitted there. Norma’s hopes seem to go out the window when she hears the numbers. It would cost her beyond what she can afford to get Norma their service. Norma gets home and talks to Norman about therapy and meditation to get him fixed. This conversation is exactly what leads to Norman finally making his mind to flee with Bradley Martin, well, making up half him mind that is. When Norman tells his mother this news, she freaks out, also thinking that the girl he is trying to elope with is dead, she knocks him unconscious and ties him up in the basement. Norma calls Dylan but by the time he arrives, Norman has escaped his captivity. 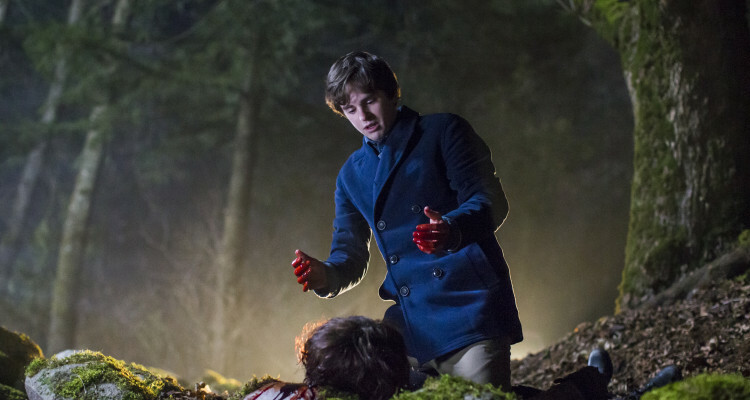 Dylan then reveals to Norma that Bradley was in fact alive and Norma is even worse off considering this situation. 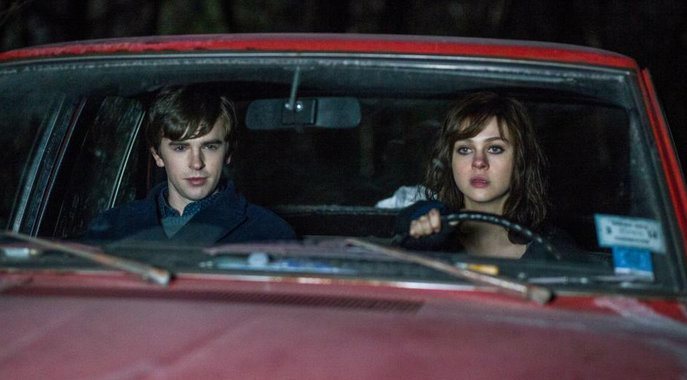 Bradley and Norman are driving away and just then, here come the hallucinations. Norman goes into trance and chases Bradley into the forest and finally bashing her head against a rock, kills her. Norman imagines his mother did the whole thing and promises imaginary Norma to keep this as their little secret.